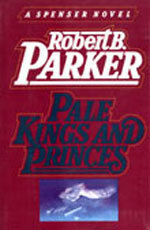 adapted as "Pale Kings and Princes"
Synopsis: Wheaton is a typical New England small-college town, not the sort of place for drugs and murder. But when a reporter gets too inquisitive, he finds both -- the latter on his own. 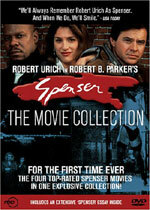 Spenser's call comes when the local cops work a cover. He needs help to solve this one -- Hawk for back-up and Susan for insight on the basics of jealousy, passion and hate!